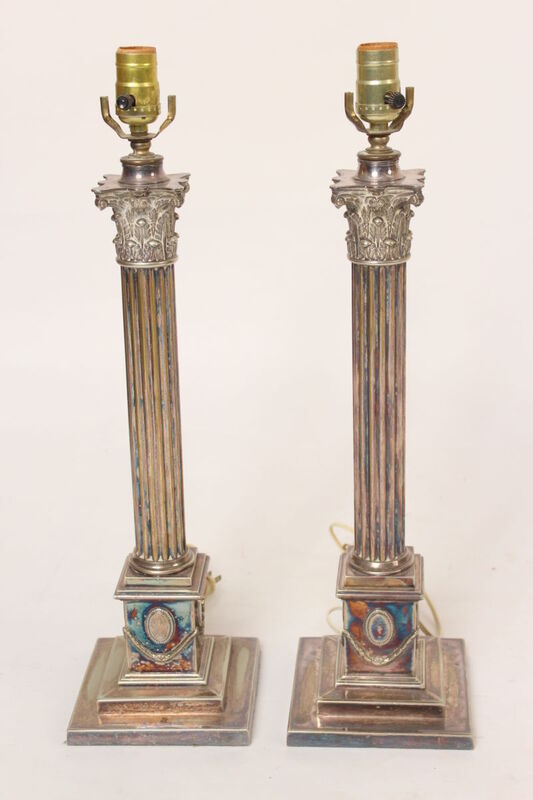 Pair of silver on bronze neo classical style lamp bases with Corinthian capitals, circa 1890-1920. Height to beginning of electrical fitting 19.25″. Width and depth of base 6.25″.